Victor de Banke, all of your Shoe Care, Leather and Accessory Needs. Victor de Banke Leather Care and Laces Limited. Shoe Lace and Leather Care Specialist UK manufacturing and Distributors for premier brands. A family business caring for the nations' footwear and leather goods. Here at Victor de Banke (formerly known as Shoe String Laces), we manufacture laces and insoles of the highest quality to fit your every need. Victor de Banke is proud to supply many high street retail stores and footwear manufacturers with our brands and private label designs of insoles, laces and shoe care. Manufactured here in Market Harborough, we are proud to offer an extensive range of shoe laces for all types of footwear. Whether it is a replacement pair to revive tired looking laces, or a funky, colourful fashion print to express your unique style – we have you covered. We are proud to stock laces of all colours, lengths, widths and styles. 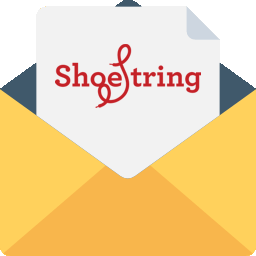 Shoe String; a family business which has lead the shoe lace market for over 20 years exudes quality, consistency, variety and covers all your shoe lace requirements. Victor de Banke proudly achieved UK Distributorship of the trusted WOLY brand back in the year 2000. Since then, Woly has seen a rapid growth in the market and is now a recognised household name. Woly products are reliable and highly respected in the industry thanks to their impressive collection of Shoe Care which are developed and manufactured in Germany. The impressive variety of products scales from insoles, cleaners and protectors - to creams, polishes and renovators. Famaco radiates sophistication and excellence. A family run business started in 1931 by Mr Frédéric Pfirter, Famaco are committed to delivering high quality products all over the world. Expertly crafted, Famaco instantly upgrades your shoe care collection to luxury status. Victor de Banke is proud to take exclusive UK distributorship of this stunning shoe care brand. Victor de Banke offers a superior array of insoles. From the inexpensive Shoe String range of foam and gel, to Wolys respectable lamb’s wool and leather footbeds – Victor de Banke covers all budgets and requirements. Our extensive range consists of over 40 different insoles, meaning we are your one-stop-shop to satisfy all of your stores requirements. Founded in 1905, Heute is a traditional family company from Germany which produces Shoe Polishing Machines of the highest quality. Exported worldwide and in some of the most respected businesses, Heute delivers a production range of shoe cleaning machines of all sizes and budgets. We are proud to be the UK representative for these machines and are happy to respond to all enquiries directly. Our promise to help every customer enables Victor de Banke to go to every length possible to satisfy and conclude your enquiry. We are delighted to now offer a ‘Private Label’ service, meaning your business can gain recognition and a lasting imprint on your customers mind when it comes to Shoe Care. This professional service has assisted in the success of gaining high street presence in huge retailers, such as L K Bennett, River Island, Next, StartRite Shoes and many more. These are just a few of our respectable customers which we are proud to supply with quality Shoe Care. If you require any additional information or have any questions, please contact us by email or telephone to speak to one of our friendly team. Opening Hours: Monday - Thursday 9am - 5.15pm Friday: 9am-4pm.